In December, we were excited to announce that Centerra Co-op reached an agreement with Deerfield to purchase the Volant location, with Deerfield maintaining a financial interest in the location. Centerra will be responsible for all operations and sales from this facility, including grain purchases and agronomy services. Since then, we’ve been busy helping customers wrap up grain harvest and getting to know all of the employees. All employees from each of our 3 southwest PA locations (Volant, New Wilmington and Slippery Rock) have been offered positions to remain with us, so that we can continue to take care of customer needs. 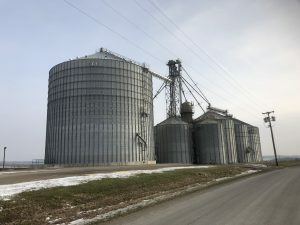 Volant is an outstanding location for serving customers: The equipment is new, the storage space for fertilizers, chemicals and seeds is large, there is over a million bushels of grain storage space and the employees are happy. We are busy combining inventories from New Wilmington into Volant, as we will gain efficiencies by using Volant as the hub for deliveries and custom application. Matt Fenton, formerly with Deerfield Volant, is the manager of the location. Our agronomists have been out on farms helping customers plan next year’s crop. Sarah Hanson, back from maternity leave, is eager to help you market your 2018 crop and profitably lock in 2019’s crop. By combining, we’ll have greater depth of employees and equipment than we had separately. We would be happy to answer any of your questions and to get your feedback on how we can improve. Thank you for your past business, which we hope to continue to earn each day.